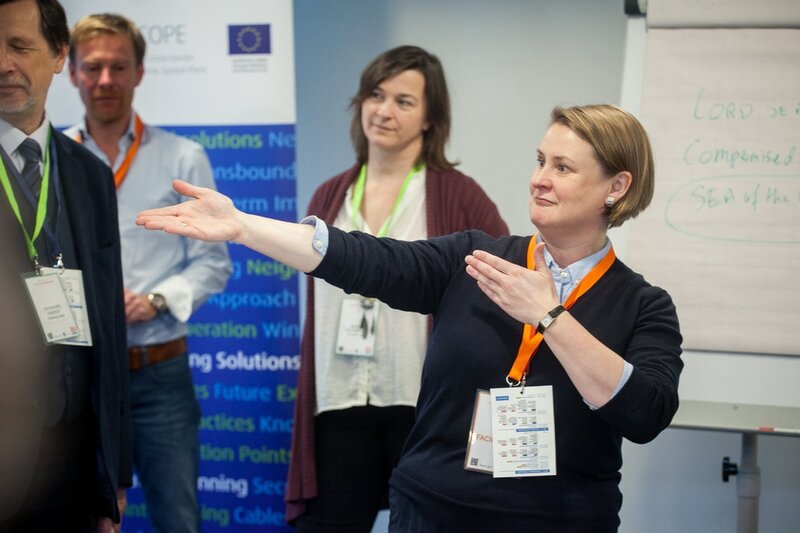 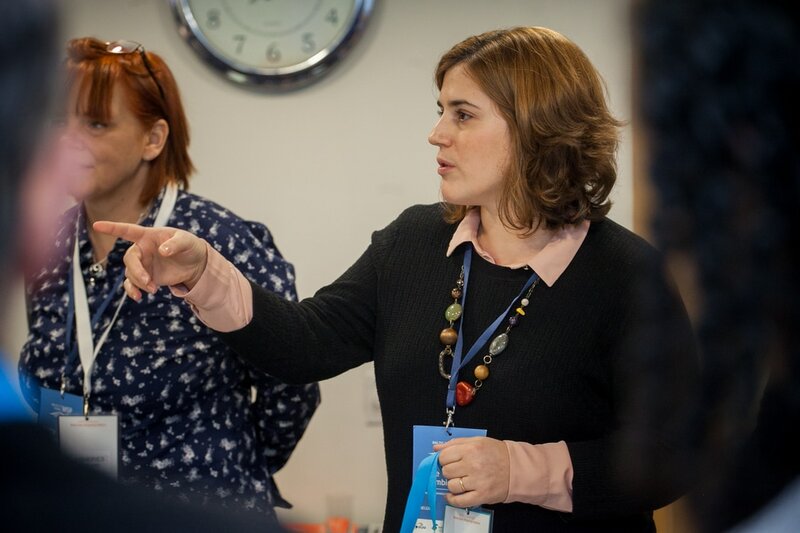 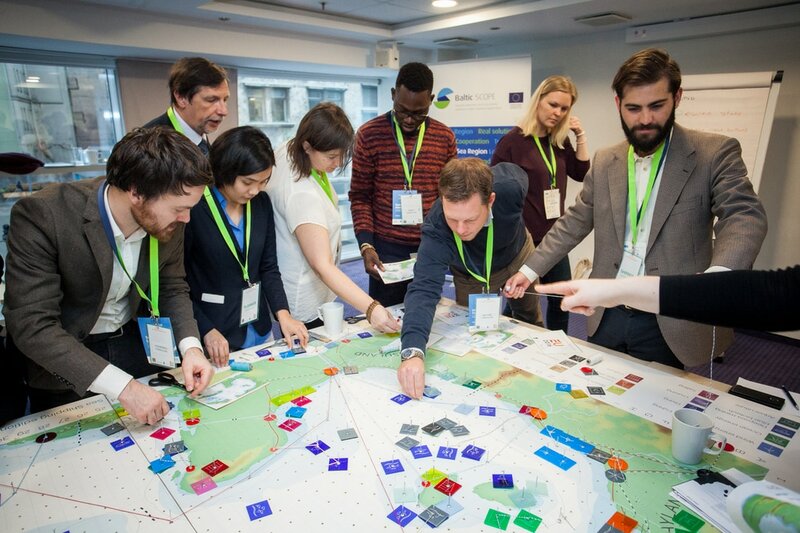 2nd Baltic Forum, 23 Nov '16 - Meet the Challenge! 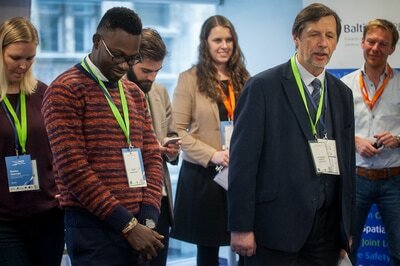 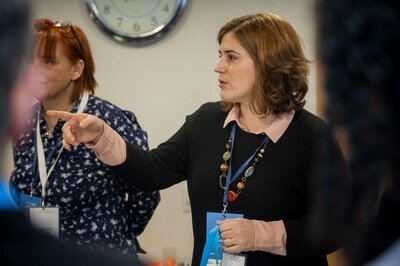 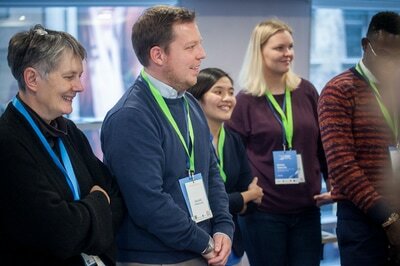 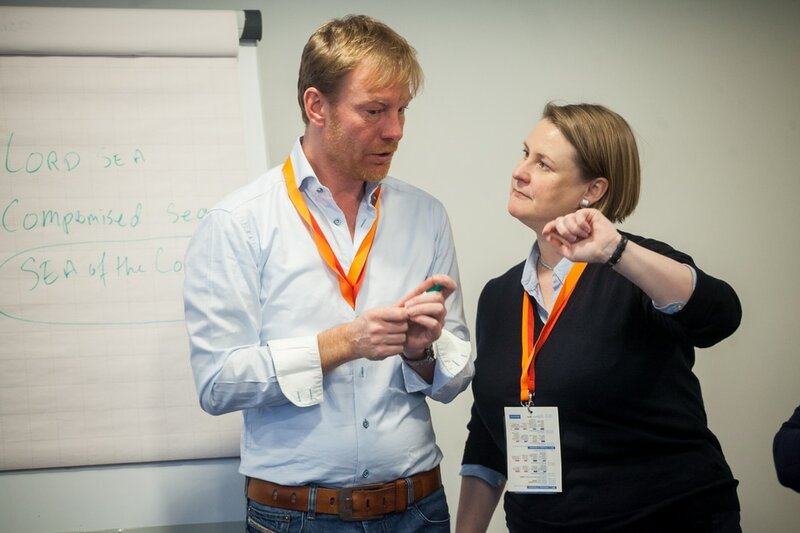 Building on the success of the first Baltic MSP Forum in 2014 it has now become a regular event – taking place once in two years. 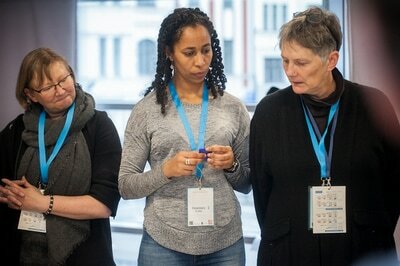 Thus, the next Forum is planned in 2018 in Germany. The Forum was organized by the VASAB and in cooperation with ICES served also as the final conference of the Baltic SCOPE project (co-funded by EC DG MARE). 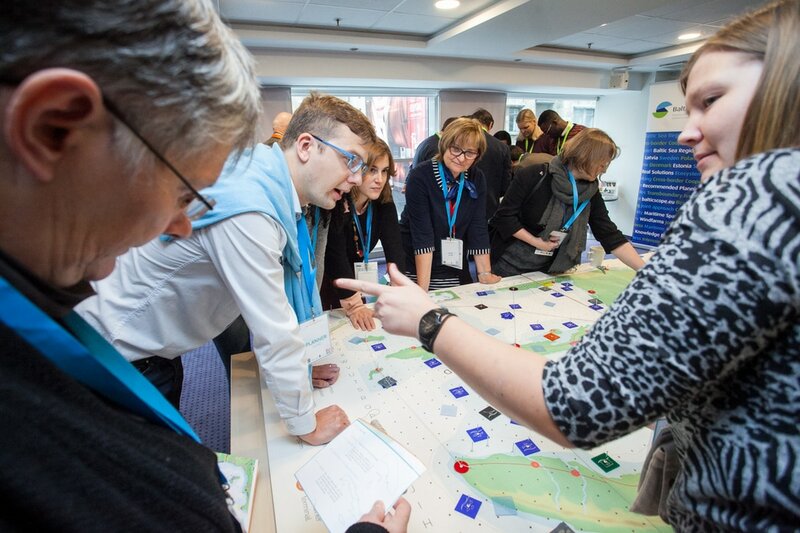 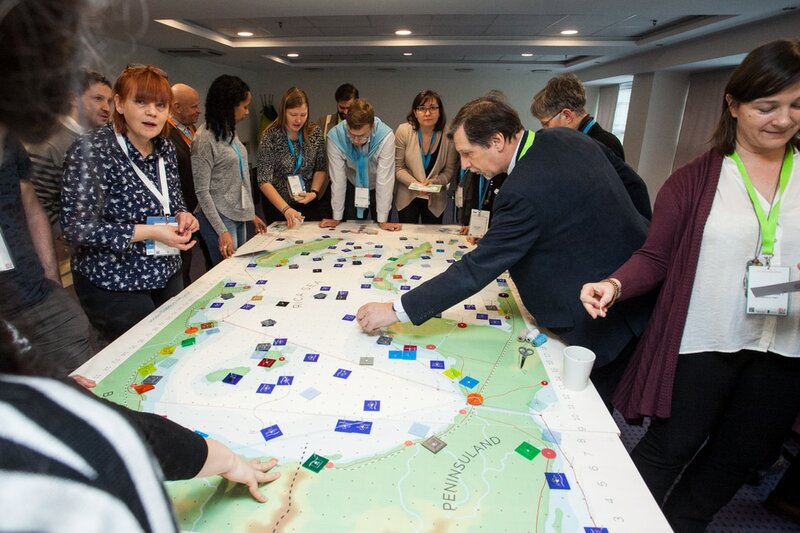 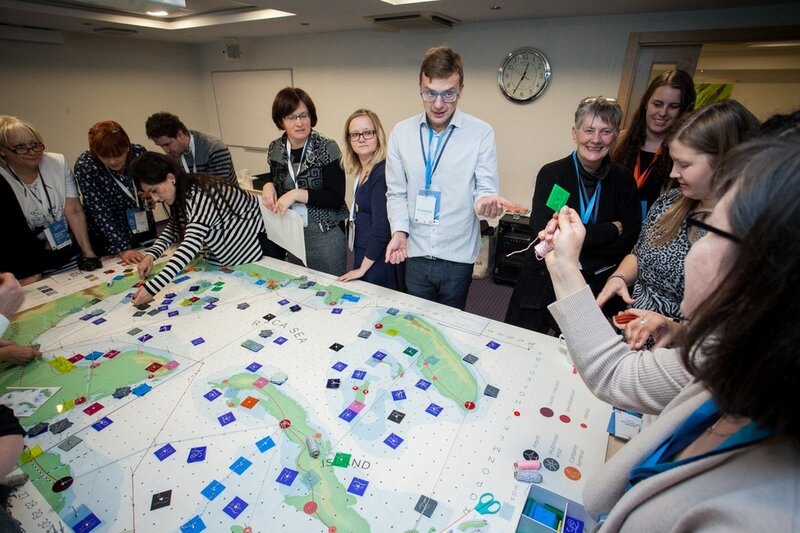 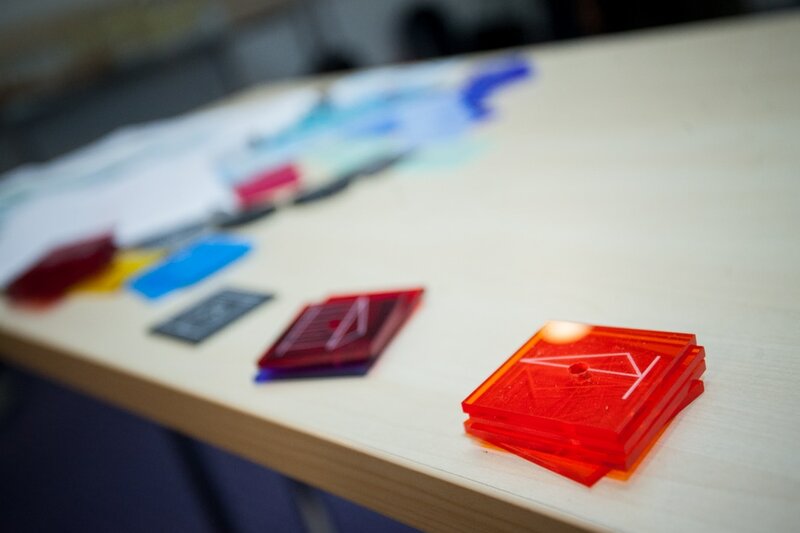 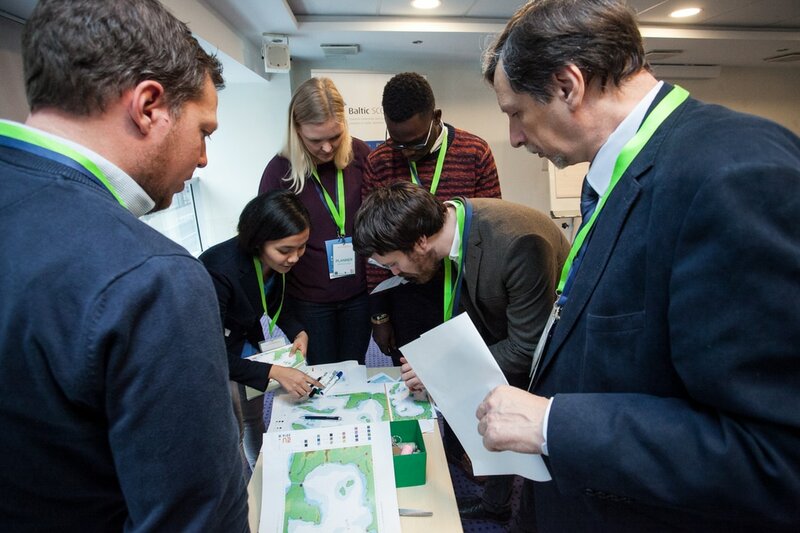 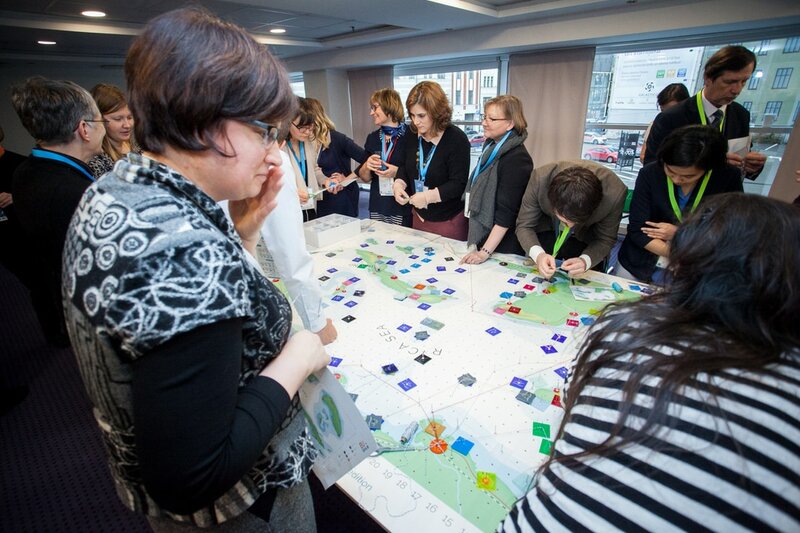 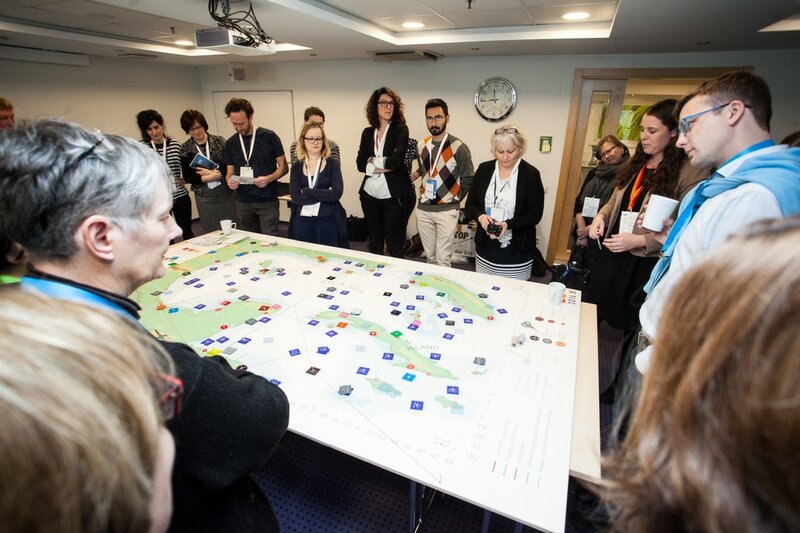 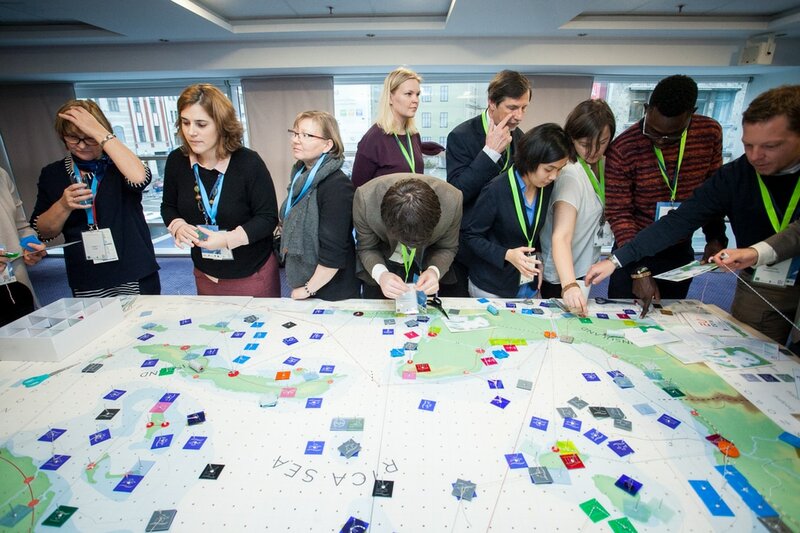 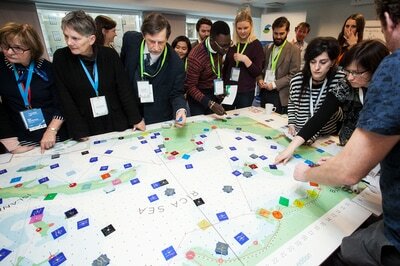 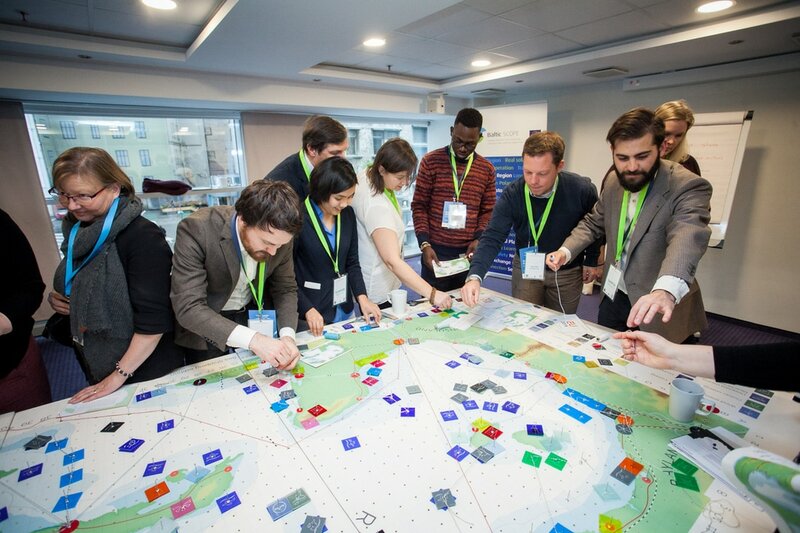 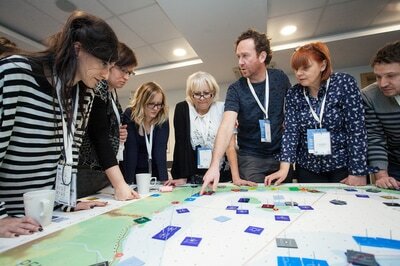 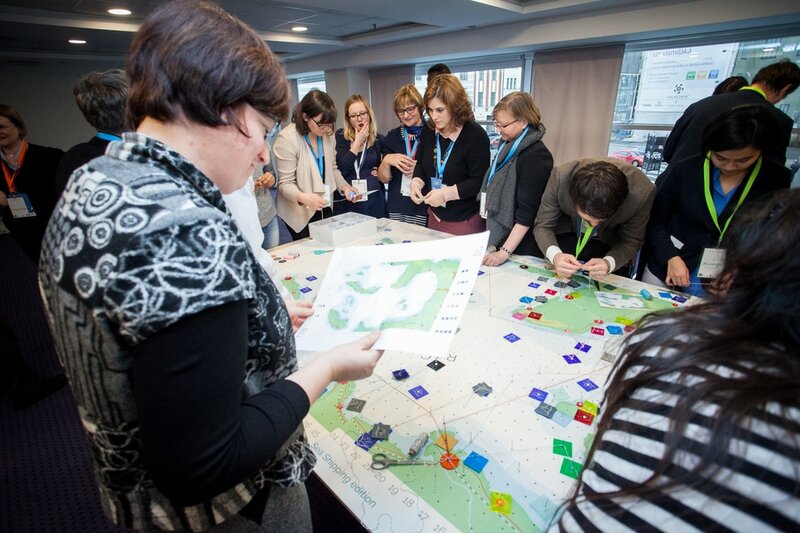 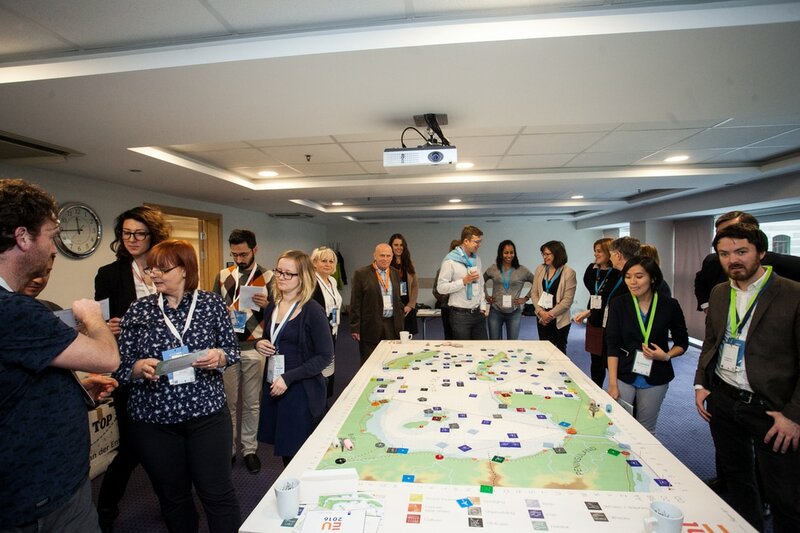 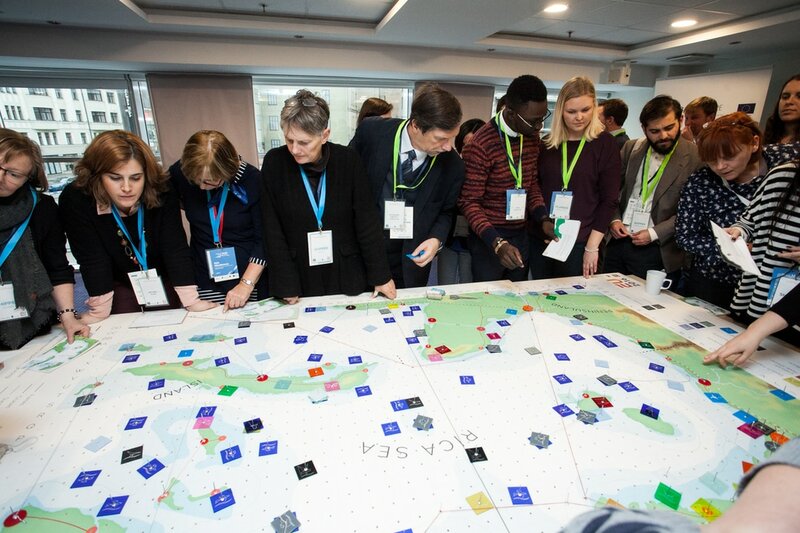 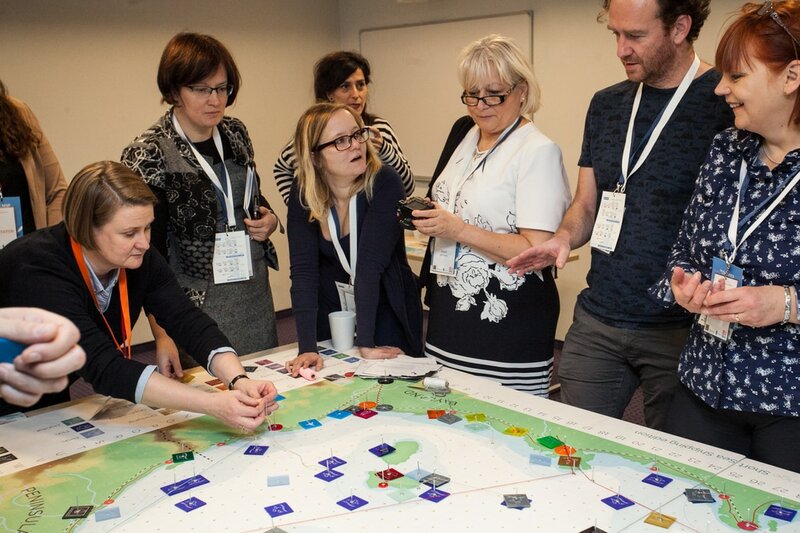 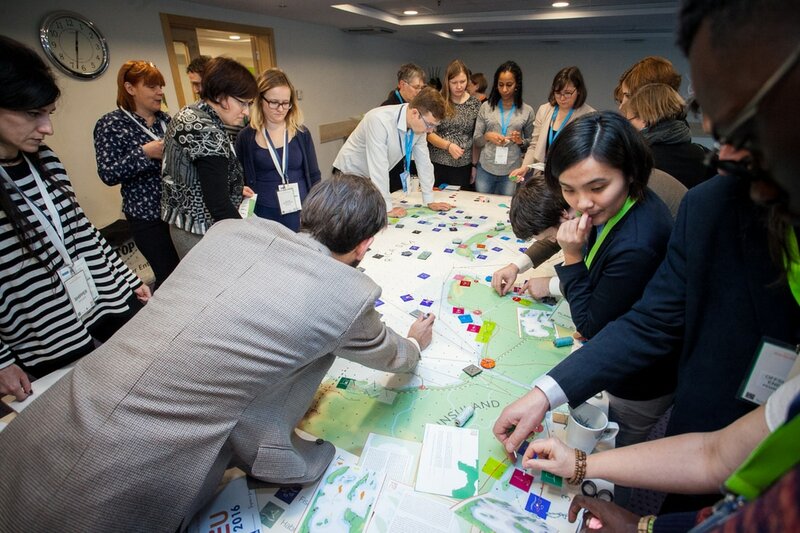 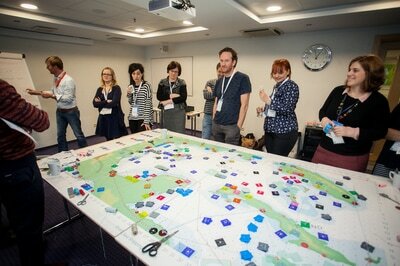 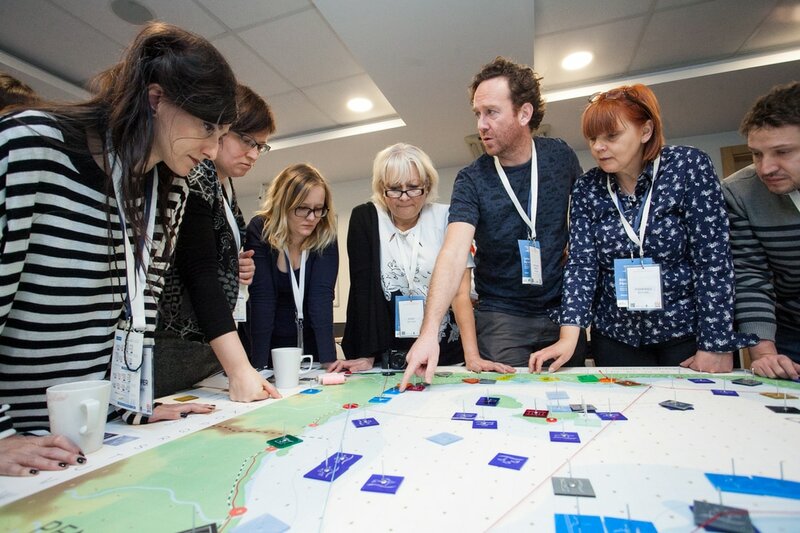 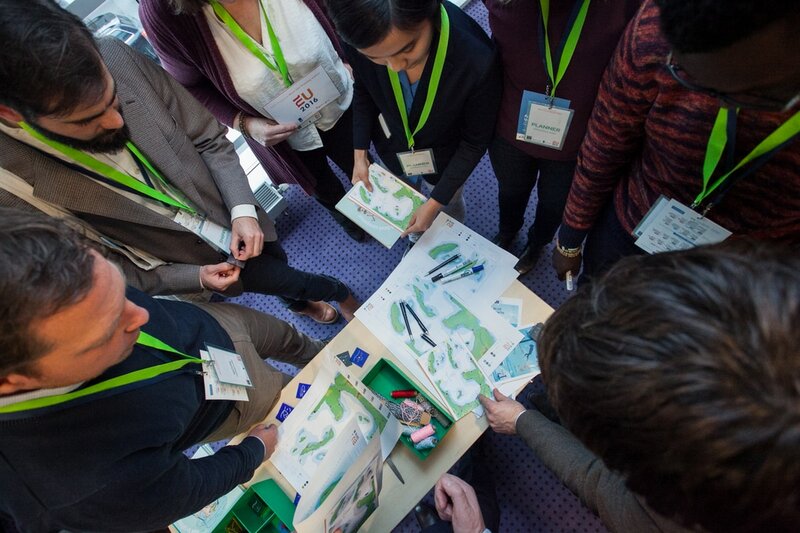 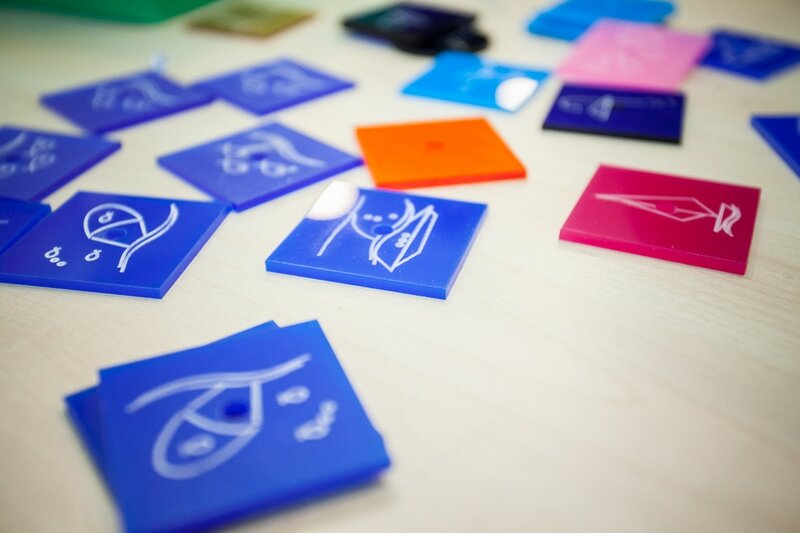 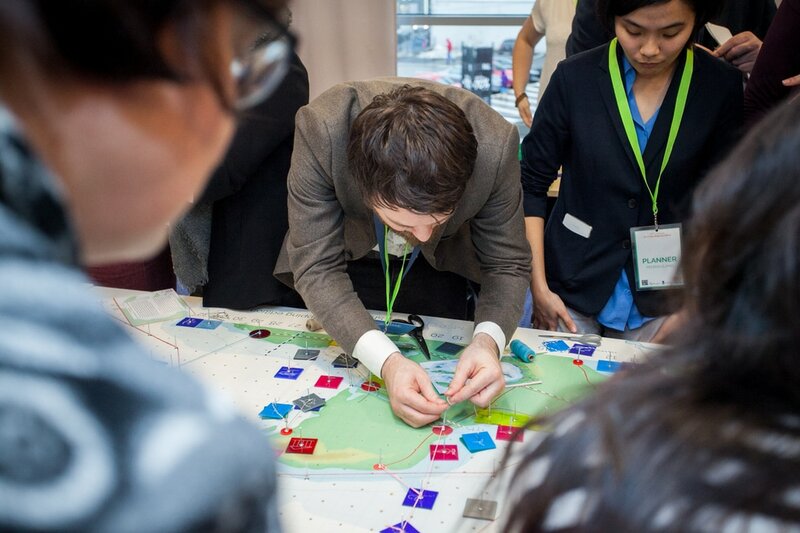 The MSP Challenge board game edition 2016 was used in a master class on Ecosystem Based Maritime Spatial Development (EBMSD). 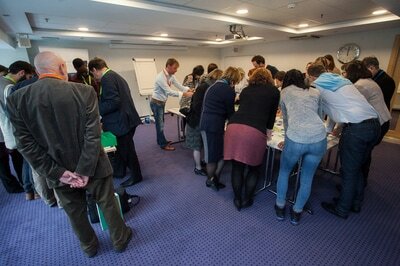 Like in previous sessions players dived into the challenge of developing the Rica Sea with a lot of enthusiasm. Though the players were challenged to look at the economic side of the development, it did proof necessary to organize a “strike” advocating for Blue Jobs and Blue Growth. The fantastic group of players did, however, overcome their initial problems in research, planning, protecting and developing the Rica Sea by various genius interventions. 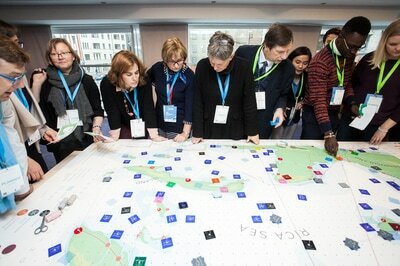 Although the plan for the Rica Sea looks chaotic; we have worked hard, got the story straight and are on top of things.